The Annual Walk / Run for Abilis was held at Tod’s Point on Sunday, raising about $150,000 to support individuals with special needs and their families of all ages and abilities. With a drizzly start, the temperature was ideal for a run nonetheless. By late morning the clouds parted and the event turnout was the biggest yet. There were 200 runners and 700 walkers. In addition about 150 volunteers made the even run smoothly. In all, over 1,000 people participated in the event. 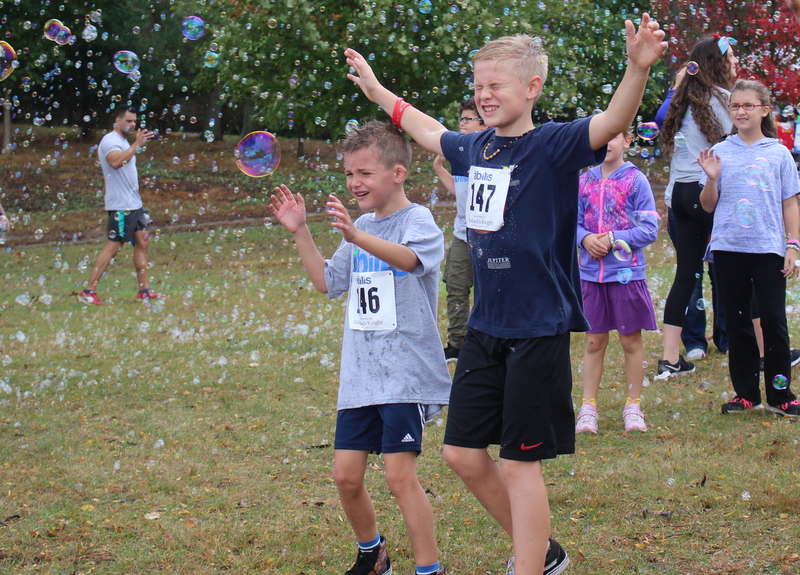 The event included a 5K run, a one-mile, accessible walk, family-friendly activities and food, was enjoyed by individuals of all ages and abilities. There was a kid’s activity tent with arts & crafts and face-painting, a bouncy castle, a “Bubble Bus” and a fire truck that children and parents enjoyed exploring!